Designed in collaboration with LOWA Pro athlete Rudi Hauser, this new model is the lightest ice climbing and technical mixed climbing boot on the market. A precise fit and speedy single-handed adjustments are made possible by the BOA® closure system. 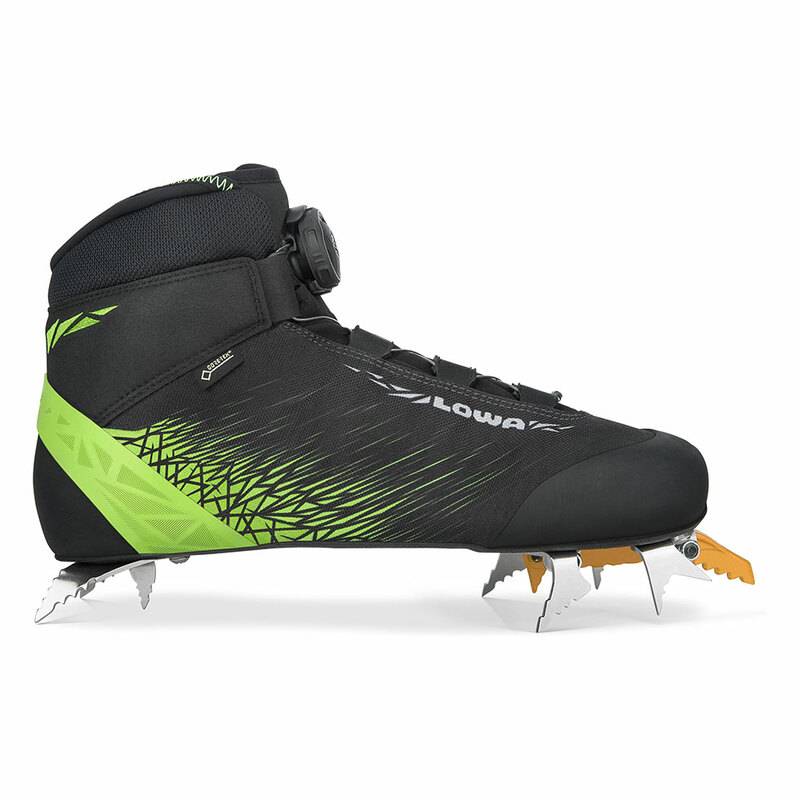 Paired with Black Diamond’s Raptor crampon that’s directly attached to the sole for superb control. Durably waterproof/breathable.